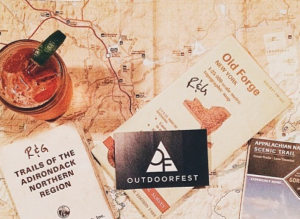 Join us when we join our friends at Outdoorfest to support their December “Mappy Hour” Wed. Dec. 16th at The Stoked Space in Dumbo, Brooklyn.! OutdoorFest provides a place for outdoor enthusiasts to unite and build community by reshaping the way outdoor enthusiasts view their lives in cities and advocating for the accessibility of the outdoors. Their goal is to use information, inspiration, and experience: curated online resources, events & content that inspire, and a ten day festival every summer to keep the community growing in a positive movement. Mappy Hour is a monthly gathering of outdoor enthusiasts around maps, guidebooks, beer, and adventure stories. It’s a chance for the active outdoor NYC community to meet other hikers, climbers, skiers, snowboarders, surfers and outdoor enthusiasts to start planning your next adventures. With this winter kicking in, it’s only appropriate that your next outdoor adventure be in the mountains with OvRride! For Outdoorfest’s December 16th Mappy Hour , we’re teaming up to help make that winter adventure planning as easy as possible. We’ll be rolling out some maps from some of our favorite mountain destinations and going over a few of the dynamics that make all the resorts we visit so special. 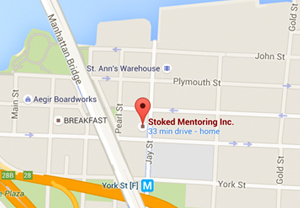 All guests will get a discount on their first OvRride trip, and as if that wasn’t enough… Our friends at Stoked will be on hand with their holiday market to raise money for their 2016 programming. Come out for your chance to shop the market for some awesome deals on holiday gifts from some of the best brands in the game! All proceeds will go to help benefit the Stoked foundation. • Be sure to reserve a ticket! How will you make the best of your winter? Come find out with Outdoorfest & OvRride! This entry was posted in Events, Fundraiser, How To, News, OvRcrew, Trips. Bookmark the permalink.